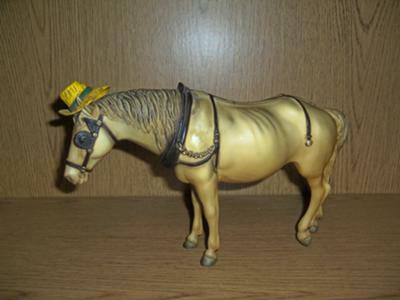 This Breyer is defintely an old timer. It is one of the first models I got, and I can't find the exact desctiption in the book. It has discolored, although the pic shows it more gold, which it is not. 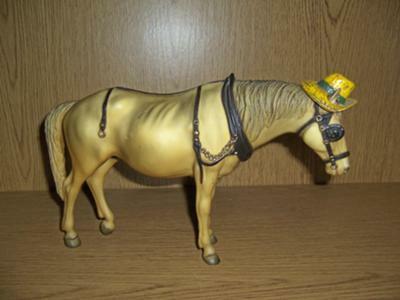 The hat is yellow with a GREEN band, this makes it different for sure. It does have a gray mane and tail and black harness.